It is one of the world's most popular and well-established sports.Originated in Canada, this amazing game is played between two teams of five players each. 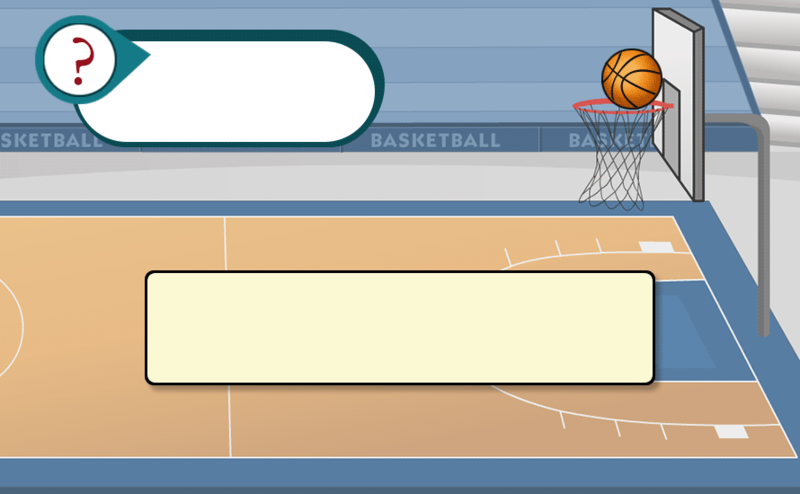 In this game, teams try to earn points by throwing a ball into the hoop. Basketball is one of the most popular sports in the world. 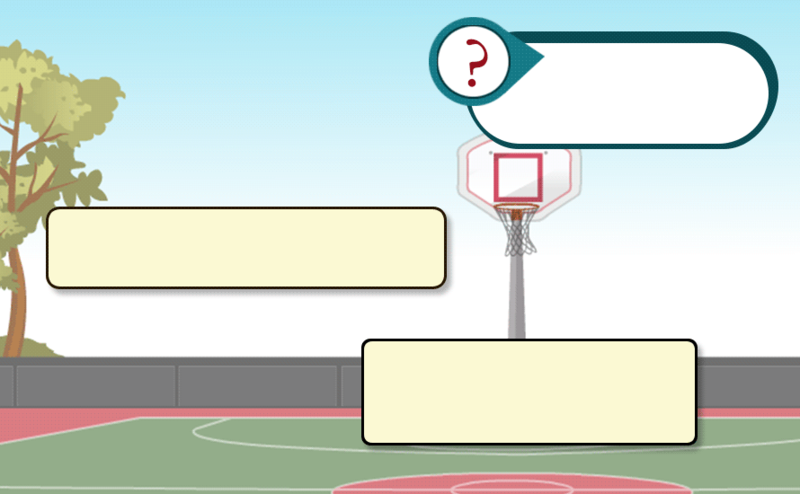 Originated in Canada, the game is played between two teams with a ball and a hoop. Teams have to earn points by throwing the ball into the hoop. Did you know? In 1967, slam dunks were illegal! Nine years later, they became legal again. 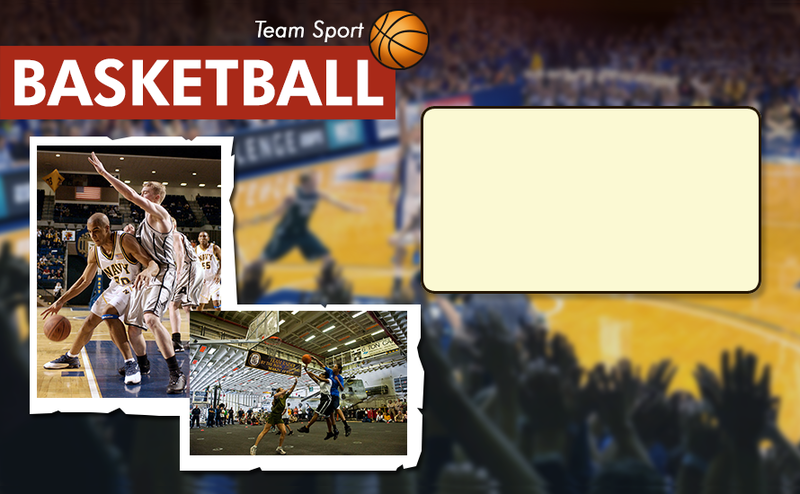 Basketball is a team sport played with a ball and a hoop. Teams try to earn points by throwing the ball into the hoop. What is a basketball player's favorite desert? Cookies. Because they can "dunk" them! 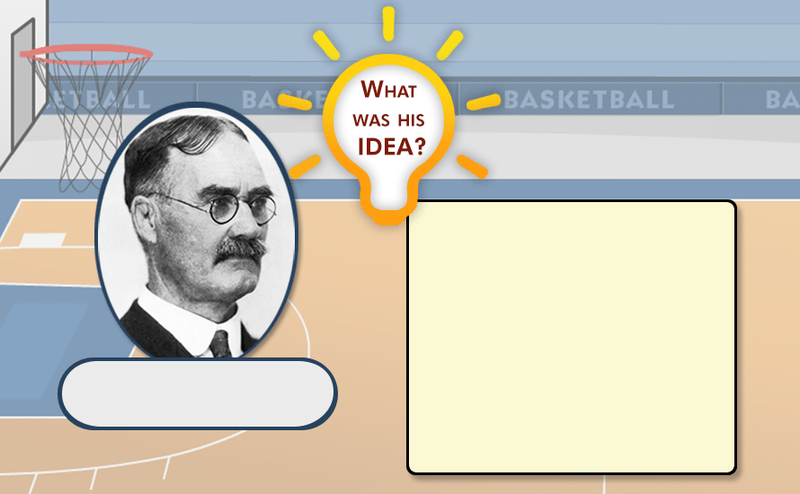 James Naismith was a Canadian gym teacher who invented the game of basketball in 1891. Basketball kept children active during the winter months when they could not play outside. 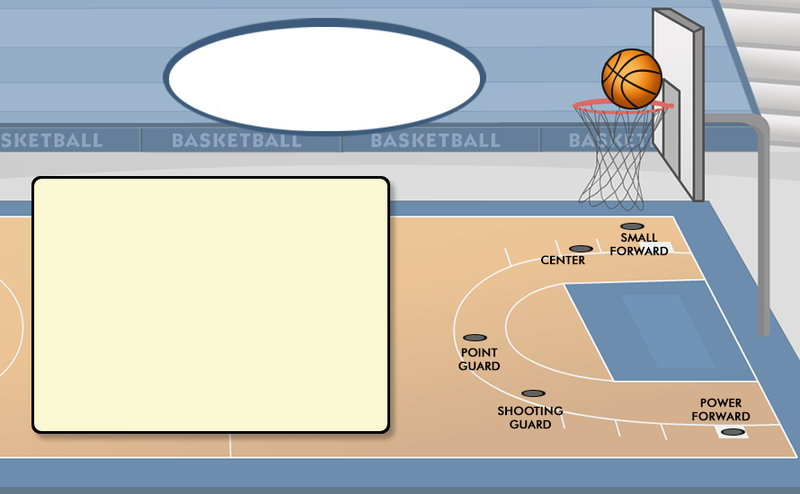 Equipment: What do you need to play BASKETBALL? Each team should wear different colored jerseys, so you can tell each other apart. With a hoop at each end. Did you know? The first basketball was brown. In the 1950's, players started using an orange ball because it was easier to see. Each hoop is attached to a backboard and the rim of each hoop should be 10 feet off the ground (if you want to play like the pros). 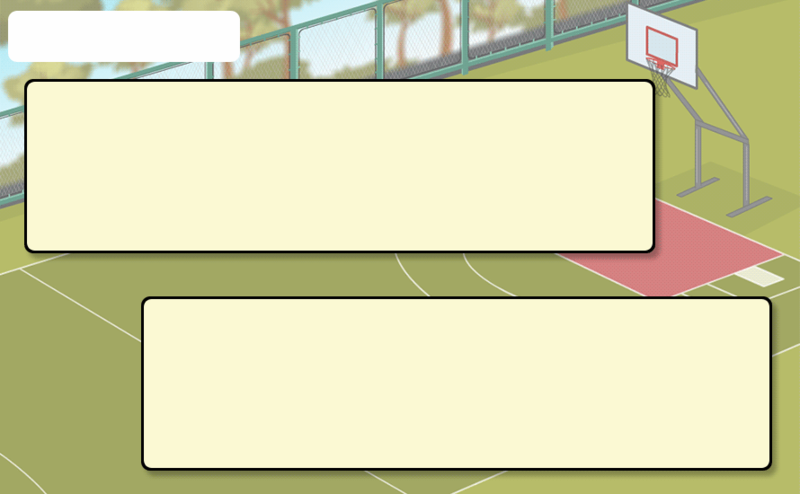 There are 4 quarters in a basketball game. Each quarter is 10 to 12 minutes long. So, you'll have to have about 40 minutes if you want to play a full game. Team Line-Up: What are the POSITIONS? Centers are usually the tallest players on the team. Centers play closest to the basket. They are good at finishing shots on offense and blocking shots on defense. Did you know? Kareem Abdul has the record for most points in a career. Over 20 years, he scored 38,387 points. Wow! The power forward plays close to the basket and tries to make easy jump shots. Power forwards are also good at getting rebounds on offense and defense. 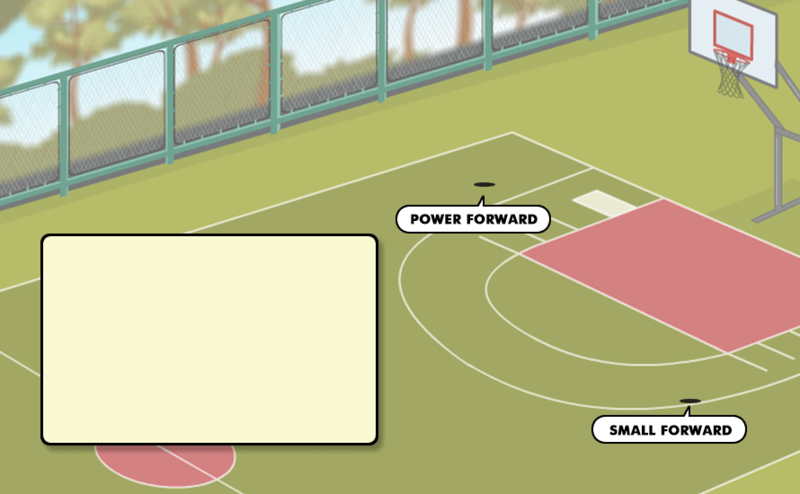 The small forward is a good shooter and helps the power forward. 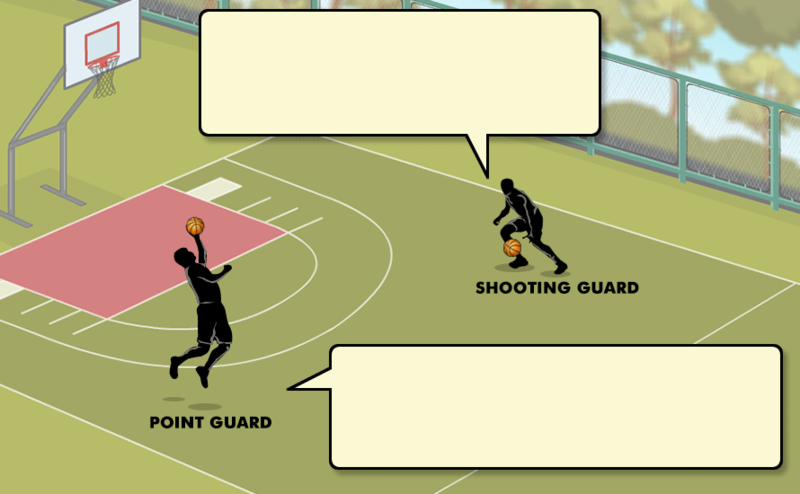 The shooting guard is usually one of the best outside shooters. This player can shoot 3-point shots very well. The point guard is the leader and manager of the offensive plays. The point guard is usually a great dribbler and passer. 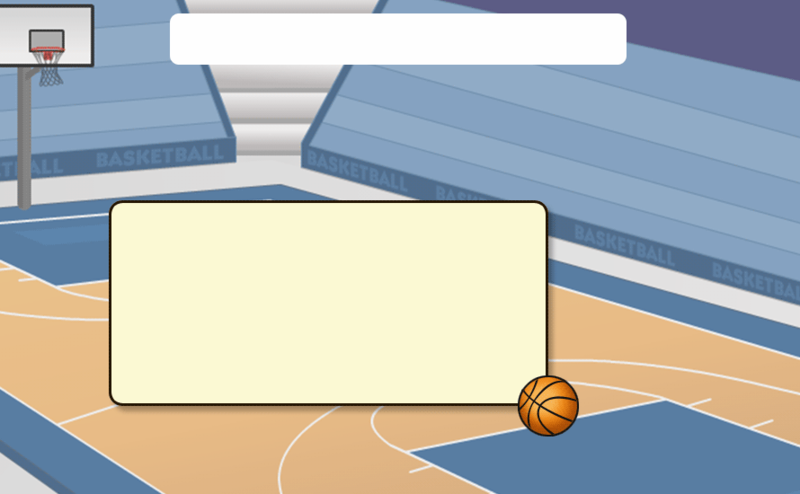 RULES: How do you play BASKETBALL? 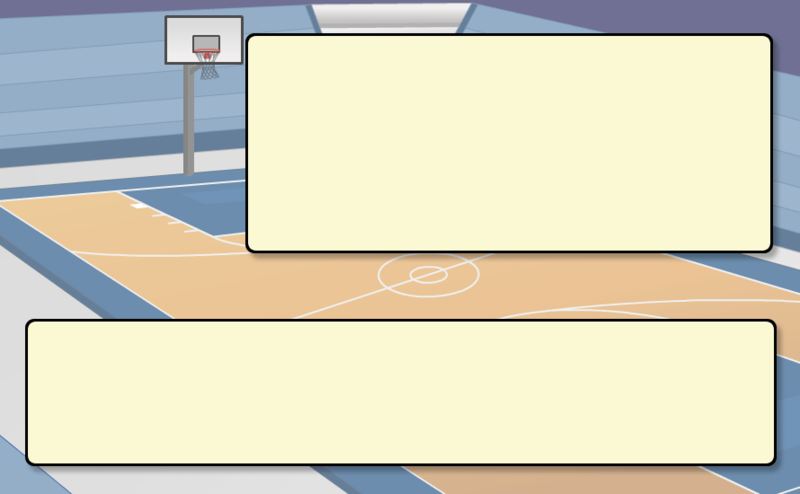 Players can pass or dribble the ball to move it down the court. Passing is when you throw the ball or bounce the ball to another player. Dribbing is when you bounce it up and down. Players cannot walk with the ball - that is traveling. The player must dribble the ball while moving around the court. If a players stops dribbling, he must keep one foot in place and pivot (or move) on the other foot. If a player travels, the other team gets the ball. The team with the ball is the offense. The offense tries to make a basket to earn points. If the offense misses a shot, they can get the rebound and try again. Rebounding means getting the ball after it does not go in the hoop. Rebound - Gain the ball after it bounces off the basket rim. 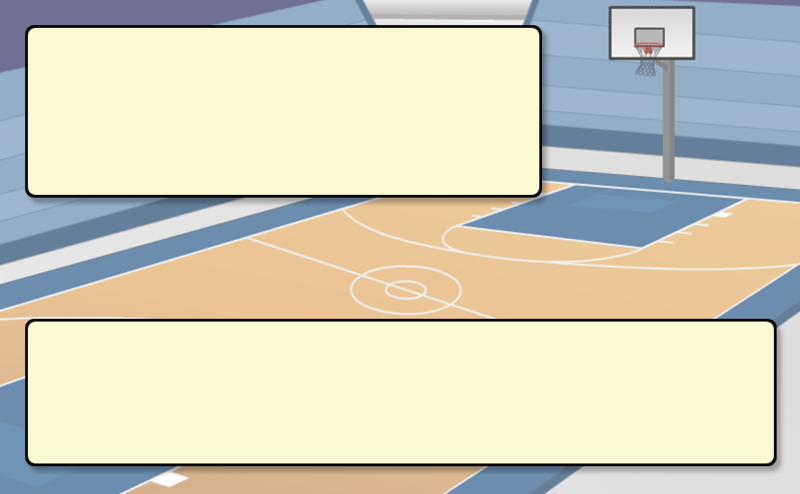 Why do basketball players stay so cool? The team without the ball is the defense. They try to steal the ball, block shots, and get the rebound when the offense misses a shot. 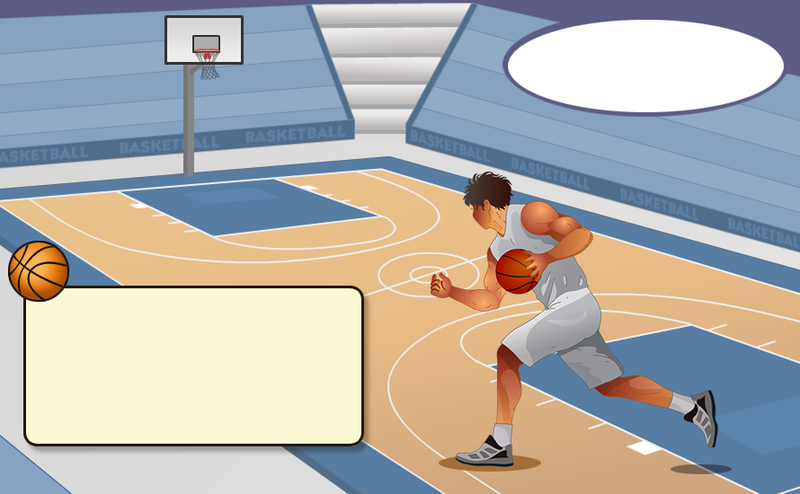 Players can steal the ball by touching only the ball. If one player touches, hits, or runs into another player while trying to steal, block, or dribble the ball, the referee may call a foul. If a foul happens when a player is shooting the ball, he gets a foul shot. Scoring: It's as easy as 1, 2, 3! Obviously, the team with the most points wins! 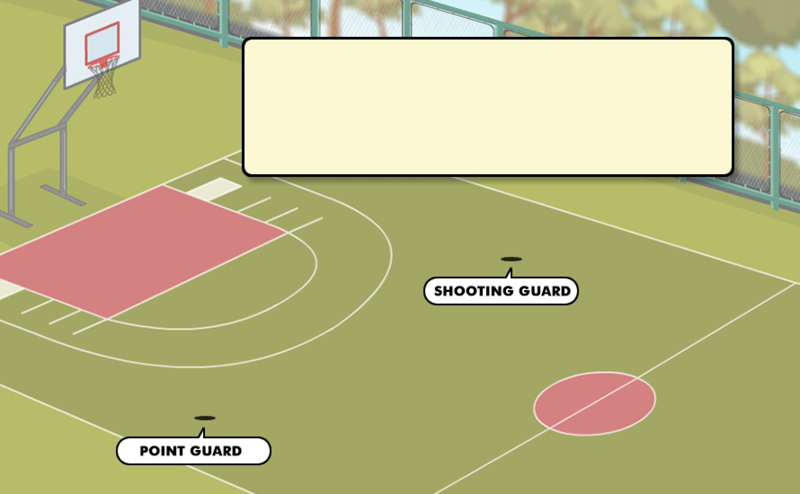 • The professional (NBA) basket ball court is 94 feet long and 50 feet wide. • The foul line is 15 feet from the front of the basket. • An arc that extends from the foul line is 6 feet and serves as part of the key. • The key, or the lane, is 16 feet wide. Did you know? There is a Basketball Hall of Fame in Springfield, Massachusetts. It was the site of the first basketball game! 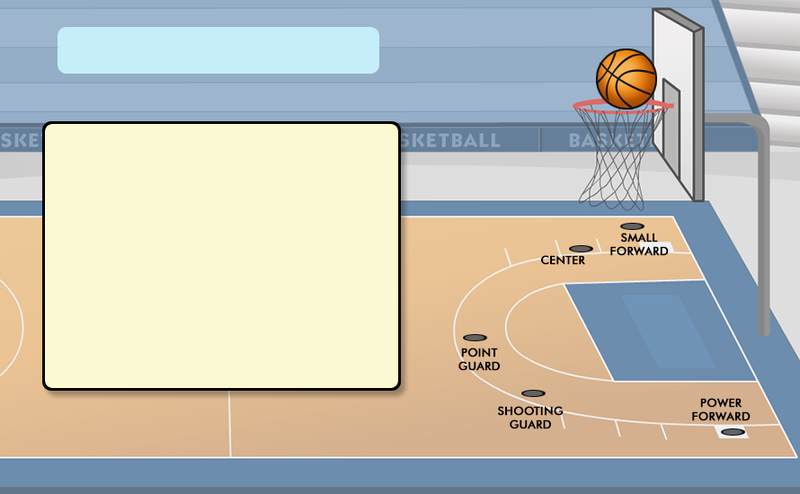 • The top of the 3-point arc is 22 feet from the center of the basket rim and extends in an arc near the sidelines. A shot from behind the arc line is worth 3 points! 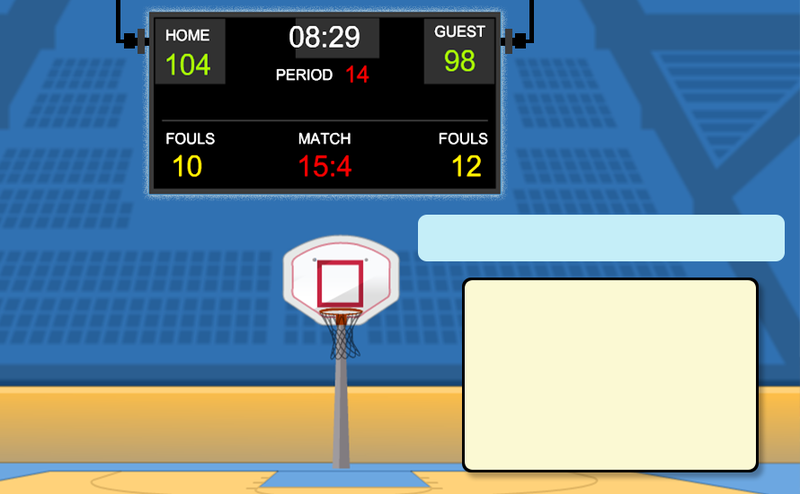 • The backboard is 6 feet wide and 42 inches tall. 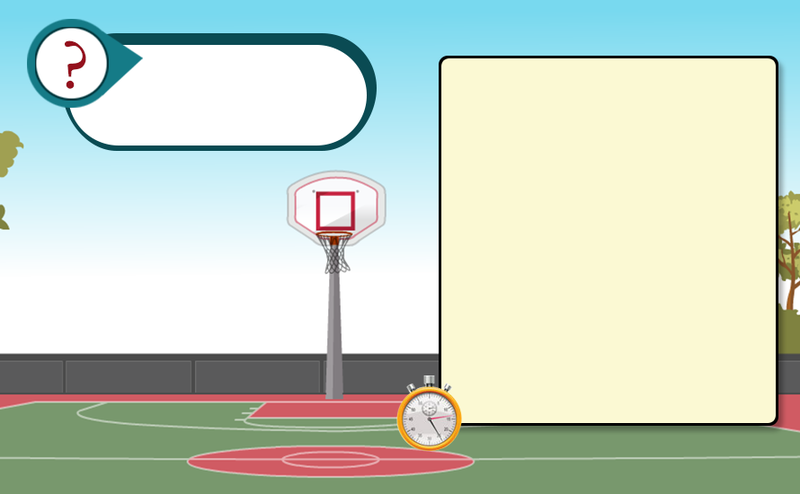 • The basketball hoop is 18 inches in diameter. 1892 - Women began playing basketball in colleges. 1897 - The first professional game was played. Players dribbled for the first time. 1906 - The bottom of the hoops became open. 1910 - The court had glass backboards for the first time. 1949 - The National Basketball Association (NBA) started with 17 teams. 1950 - The first African American player (Earl Lloyd) played in the NBA. 1962 - Wilt Chamberlain scored 100 points in one game. He was over 7 feet tall and was a talented player at the center position. 1969 - Kareem Abdul-Jabaar began his NBA career with the Milwaukee Bucks. He was eventually the NBA's all team leading scorer with 38,387 points. 1972 - Julius Erving began his NBA career with the Milwaukee Bucks. His play Involved new techniques like leaping above the rim of the hoop. 1978 - Larry Bird began his NBA career with the Boston Celtics. 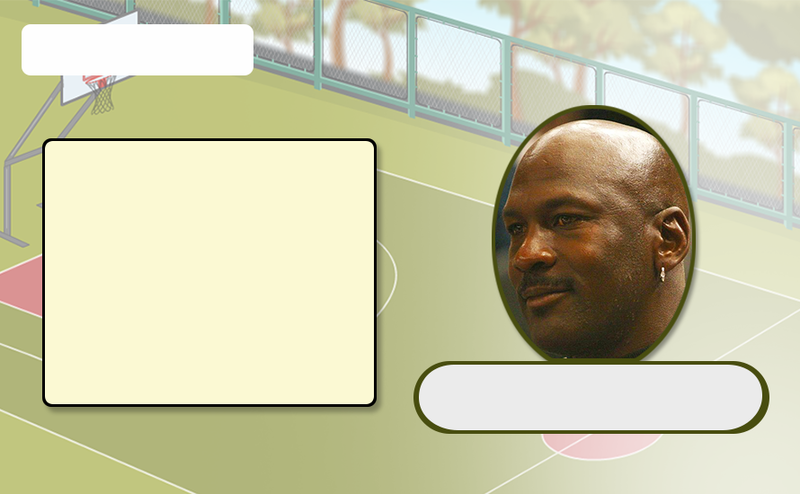 He has also been a coach and is in the Basketball Hall of Fame. 1979 - Magic Johnson began his NBA career with the LA Lakers. He won the MVP award as a rookie. He is the NBA's all-time leader in average assists per game. 1981 - Isiah Thomas began his NBA career with the Detroit Pistons. He played point guard and is one of the 50 greatest players in history. 1984 - Michael Jordan began his NBA career with the Chicago Bulls. He is one of the greatest basketball players of all-time, one of the most talented offensive players of all time, and one of the best defensive players of all time. He was a prolific scorer, he had great leaping ability, he was a skilled slam-dunking player, and he has won multiple MVP titles, and multiple championships. 1996 - Kobe Bryant began his NBA career with the Charlotte Hornets. He is a shooting guard, he has been an All Star fifteen times, and he won the All- Star MVP four times. He is the youngest player to reach 30,000 points. 1996 - Women's Nation Basketball Association started with 12 teams. 2000 - The men's team and the women's team win first place in the Olympics. 2003 - LeBron James began his career with the Cleveland Cavaliers. He was the all-time leading scorer for the Cavaliers and he was the youngest player to reach 20,000 points in his career. He has been the NBA MVP three times and he has won one championship. 2003 - Michael Jordan played his last All Star game. 2004 - Shaquille O'Neal won the MVP for the All Star game. He played for 19 years and was one of the heaviest players at a height of 7 ft 1 inch and a weight of 325 pounds. He won the NBA MVP, the All-Star game MVP, and the Finals MVP in 2000. 2006 - Dwayne Wade was MVP of the NBA finals and was named Sportsman of the Year. He is the all-time leading scorer for the Miami Heat, and has won two championships. 2011 - Derrick Rose was the youngest player to receive the award for league MVP, and was Rookie of the year when he started. He was a point guard and led his team to the finals since he started in 2008. 2012 - LeBron James was league MVP for the third time, and won his first championship with the Miami Heat. Erving changed the game of basketball. He could spin in mid-air. He perfected his slam dunk. Erving won the MVP Award three times. He won two League Championships. He is one of the leading scorers of all time. Larry Bird led the Boston Celtics to 12 NBA finals and his team won the championship three times. Bird also made the All Star Team 12 times and was the MVP of the All Star Team in 1992. Bird won three MVP awards. He averaged 24 points per game. He was the fifth best free thrower of all time. Johnson played his whole career with the Los Angeles Lakers. He was a member of five championship teams. He won the season MVP three times and the finals MVP three times. He played for the All Star Team 12 times. He amazed fans with his incredible passing skills. Jordan was an incredible shooter, jumper, dunker, and a skilled defender. Jordan and the Bulls won the NBA Championship six times. Jordan was the MVP five times. Jordan was on the All Star Team 14 times. He is one of the most talented basketball players of all time.